Dr. Raymond Bahr is a cardiologist in Baltimore, Maryland and is affiliated with Saint Agnes Hospital. 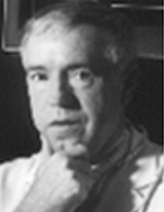 He received his medical degree from University of Maryland School of Medicine and has been in practice for 53 years. He is one of 19 doctors at Saint Agnes Hospital who specialize in Cardiovascular Disease.